eBook available at your favorite eRetailer. Things are finally starting to fall into a steady rhythm in the small town of Goose Creek, Kentucky. 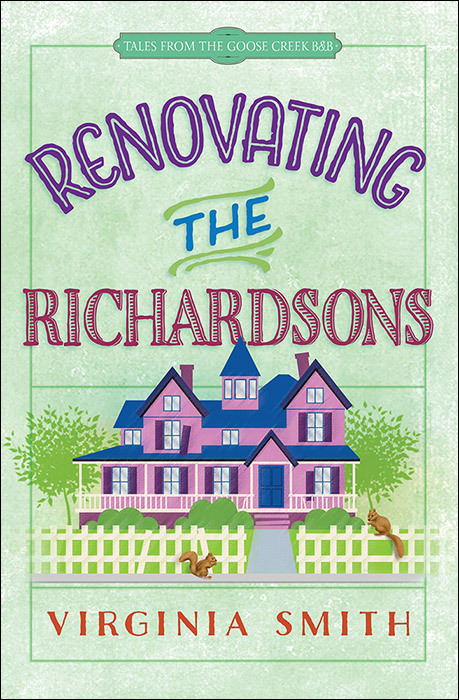 Millie Richardson is hard at work renovating a drafty Victorian house into a B&B. Her husband, Al, is busy writing checks for the renovations. And the new vet, Susan, has finally found acceptance from the town—not to mention a hunky new boyfriend, Justin. But things never stay quiet for long in Goose Creek. The inner-county softball game is coming up, and Millie volunteers Al as team manager. But the softball team is a disaster. If they’re not going to embarrass themselves in front of the whole of Franklin County, Al needs Justin to play. But Justin lives just outside the city limits, and the rules say that players must live in town. As if that weren’t enough to keep the town gossips busy, a massage therapist has come to town and opened up shop. Imagine—a massage parlor!—in Goose Creek! No decent Creeker will stand for it. It’s up to Al and Millie—again—to save the day. Virginia Smith is the bestselling author of more than 30 inspirational novels and 50 articles and short stories. Her books have received many awards, including two Holt Medallion Awards of Merit. Meet her online at www.VirginiaSmith.org. "On behalf of Al and Millie and all the rest, let me say, 'Welcome back! ';"
"So much fun and remarkably entertaining." "Ms. Smith has given us another really fun story. I enjoyed this book a lot and am looking forward to the next book in this series from this highly talented author." "In general, I recommend Renovating the Richardsons to readers who have long been anticipating a return visit to Goose Creek. You will undoubtedly still feel at home in the quirky little town, and the characters will still feel like old friends (or annoying neighbors, depending on the person!)." 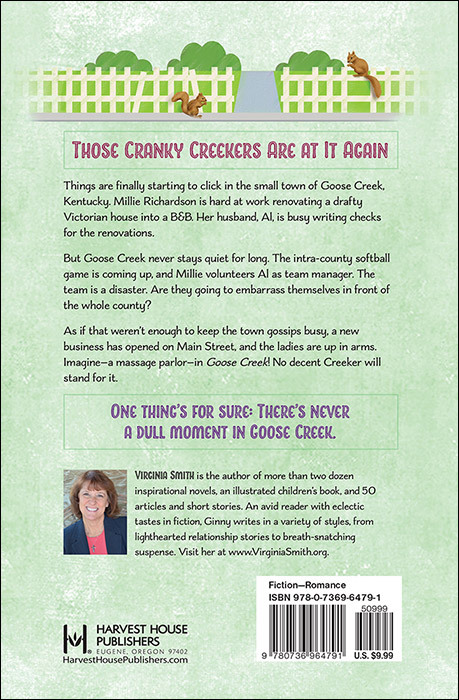 "Her [Smith's] sense of humor permeates all her writing, but it really shines in the Goose Creek series. You'll find yourself smiling while reading...."